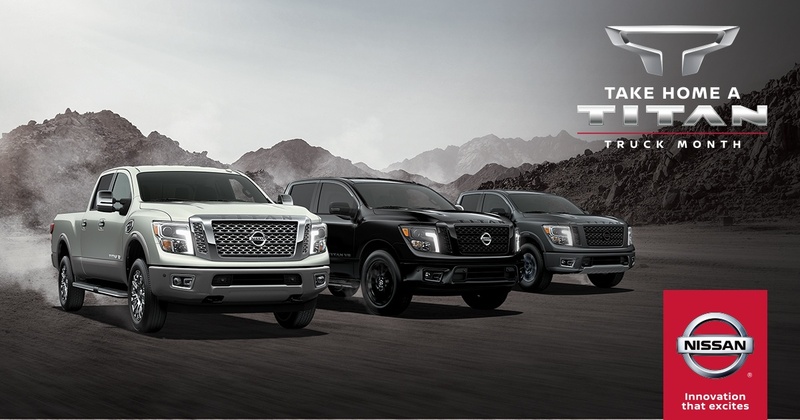 For the First Time Ever...It's Nissan Truck Month (Over 100 New Trucks + SUVs on Sale)! If those aren't enough, how about we throw in Nissan Truck Month to sweeten the deal? Yep, for the first time ever, Truck Month has driven its way onto the Denny Menholt Nissan lot. Shop all April long for our lowest prices on new Nissans for sale in Billings! Why Buy New Nissans for Sale in Billings in the Spring? 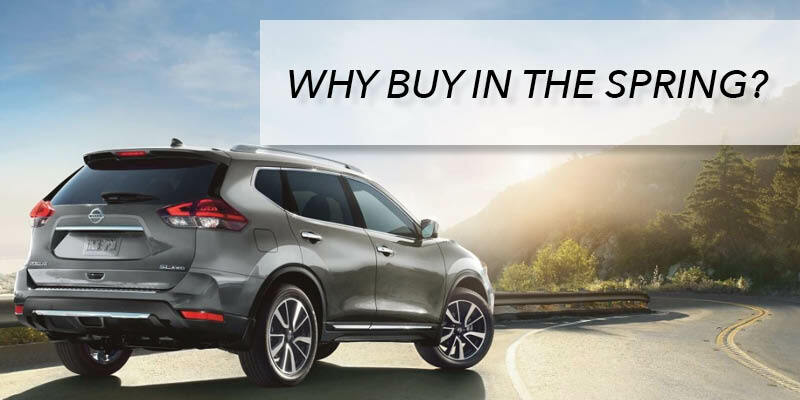 While there are pros and cons to purchasing no matter what time of year it is, we’re giving you a really good reason to buy new Nissan Rogues and Titans for sale in Billings in the Spring. Montana families know the importance of a reliable vehicle. For as much time as you spend driving your vehicle in any given week, it’s not wrong to view it as another member of your family! 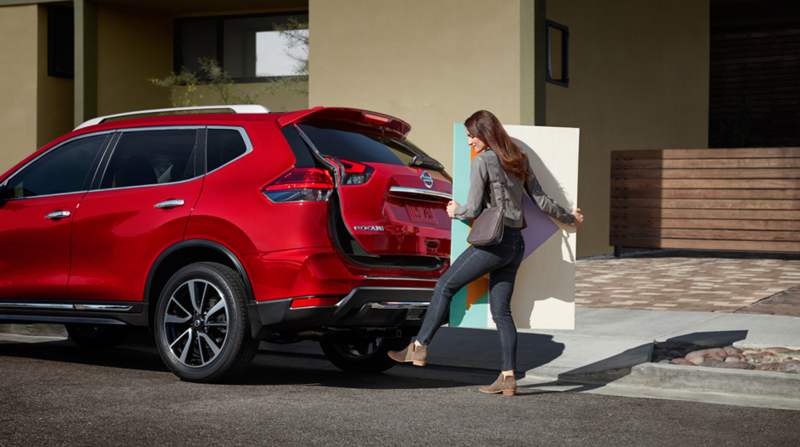 When Nissan designed the 2019 Rogue, they had busy families like yours in mind. That’s why the 2019 Rogue ranks high among SUVs for sale in Billings when it comes to dependability, safety, and technology. At Billings Nissan, we’re pretty fond of the Nissan Rogue. That’s why we want to introduce it to as many Billings families as possible, and it may be more affordable than you think! Keep reading to learn about the top features included in the Rogue that every family can appreciate. If you look around your home, you might find products labeled “all-purpose.” From flour, to cleaning solution, to seasoning, many products conveniently have many uses. The term “all-purpose” not only applies to household kitchen and cleaning products— it can also be used to describe Billings new trucks! Keep reading to learn why the 2018 Nissan Titan is the perfect truck for both work and play in Billings, plus discover how you can get up to $12,260 off MSRP1 when you purchase a new Titan in December. It’s nice when other people have your back, supporting you no matter the circumstance. The same can be said about Billings new trucks. You should be able to trust your truck to keep you safe and do its job while operating to the best of its ability every single drive. The Nissan Titan for sale in Billings is in it for the long haul with the title of America’s best truck warranty. What makes this warranty so superior? Let’s take a look. Okay, so trucks don't wear socks. But if they did, those socks would all be blown right off the "feet" (er, wheels?) 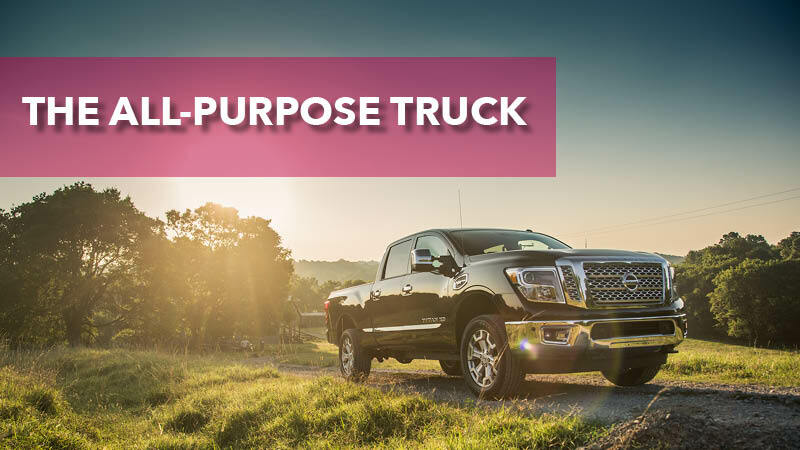 of their owners, thanks to the new guy in town: the all-new, American-made, knock-your-socks-off 2018 Nissan Titan. 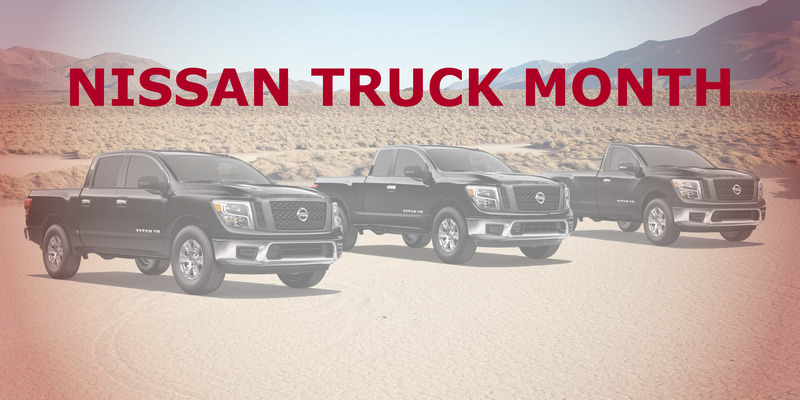 Forgive our cheesy jokes, but we're just so excited about our selection of new Titans in Billings — especially considering September is Truck Month here at Denny Menholt Billings Nissan. That means huge savings on the 2018 Titan all month long! Read on to learn why we're so obsessed with the Titan — and why you should consider taking one home today. You'd have to be pretty crazy not to fall in love with the new 2018 Nissan Rogue in Montana. For one thing, Nissan Rogue is now America's bestselling SUV. * If that's not convincing enough, here are three of our favorite features of the new 2018 Rogue SUV. An SUV is not as much a form of transportation as it is an important member of your family. Through all the school drop offs, shopping trips, and family road trips, your SUV is with you every memory-making mile. Nissan doesn’t just create crossovers and SUVs, they’re creating vehicles with your family in mind. 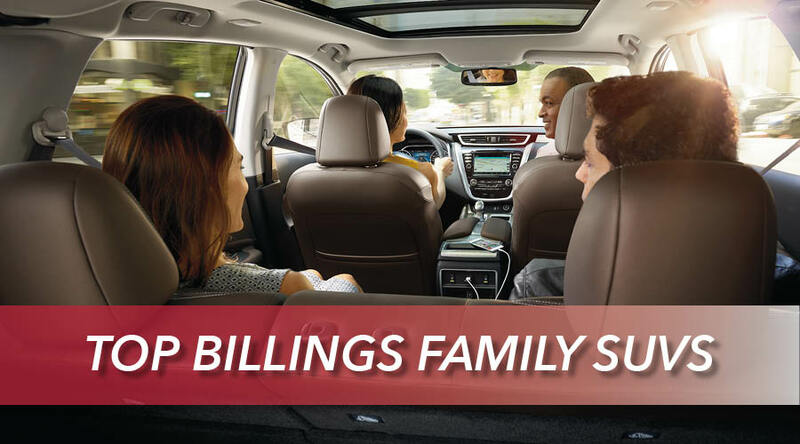 Buying Nissans in Billings is a smart choice, but how do you know which SUV is right for your family, budget, and lifestyle? We’re breaking down the most important features of the new Nissan Rogue and Murano. You’re driving along the highway enjoying the ride, when suddenly that “Low Fuel” warning light comes on. You frantically begin trying to locate the nearest gas station, wondering how many miles you can actually drive until your vehicle comes to a halt. We’ve all been in this situation before, and will likely be in it again at some point in the future. When you buy new cars in Billings, car dealers will tell you how many miles per gallon a certain vehicle gets, but it’s not often they tell you how many miles you can actually drive when that annoying “low fuel” light turns on. In this post, we’re telling you how far your Billings Nissan vehicle can drive on empty, plus giving you an opportunity to pay $0 in finance charges* and a lower monthly payment on any new Nissan for sale in Billings during the fourth annual Menholt Auto Group Dealwriters Sale! Cash for Clunkers Is Back in Billings: Get a Minimum of $2,000 for Your Vehicle! This auto buying program was one of the most successful in American history. And now through June 2, 2018, Denny Menholt Billings Nissan and Carmart 360 are bringing it back — again! 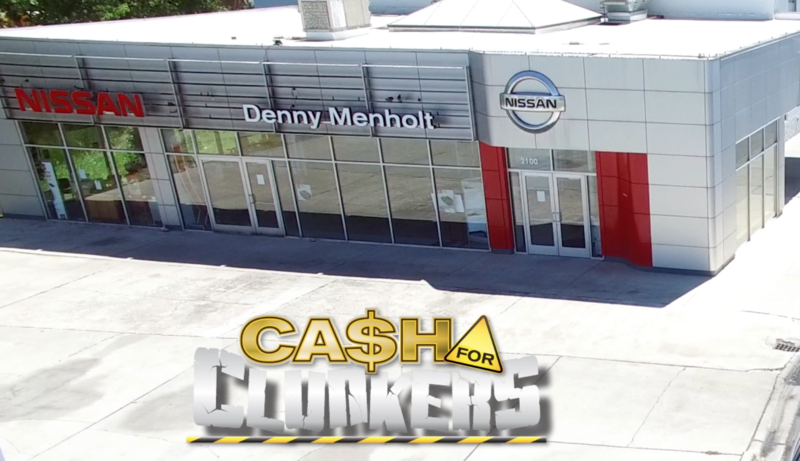 We want to share as much as we can about the vehicles, people and specials that make Denny Menholt Nissan stand out among Montana Nissan dealers. Subscribe to be the first to know about new events, news and specials.